Here’s the latest news in film and theater. Artistic Director Announced: Earlier this week, Stephanie Ybarra was named as the Artistic Director of Baltimore Center Stage. She takes over full time in December. She is the second Public Theater producer to be tapped to lead an organization in the Washington, D.C.–Baltimore area after Maria Manuela Goyanes was announced as the next Artistic Director of Woolly Mammoth Theatre Company, beginning her tenure in September. New York’s losses are definitely Baltimore’s and D.C.’s gains as these producers are very well regarded in theater circles. Kudos to them both and the organizations they will lead. Must Read Interview: Desiree Akhavan (pictured above), director of Sundance Grand Jury award winner The Miseducation of Cameron Post, spoke to The Guardian about the film, which deals with gay conversion therapy; her time at the Renfrew Center; and her London-set TV show The Bisexual (Channel 4). Venice Film Festival Criticized: For the second year in a row, only one female-directed film is in competition at the Venice Film Festival. Women’s groups have written an open letter to the festival, imploring officials to support gender parity. Learn more via Variety. Look at the Success of Waitress: The Los Angeles Times profiles the hit Broadway musical Waitress and its creative team, comprised of women. What does this musical’s success mean for other female-identified creatives in the industry? Yes, Please: The U.S. Senate considers giving the women featured in the film Hidden Figures a Congressional Gold Medal. Let’s hope these very deserving women are recognized for their heroic achievements. Read story via CBS News. Grants Information: The 2018 “Made in New York” Women’s Film, TV & Theatre Fund is open for submissions through October 16, 2018. Learn more and apply HERE. ICYMI: The Wrap reported on the San Diego State University’s Center for the Study of Women in TV and Film‘s study, which found that male critics outnumber female critics two to one, and female critics give better reviews to films with female lead characters. Read the study’s full findings here: Thumbs Down 2018: Film Critics and Gender, and Why It Matters. 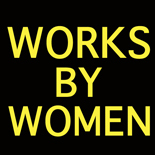 This entry was posted on August 12, 2018 by worksbywomen in Awards, Brief, Broadway, D.C., Film, Theater, Washington, Women and tagged baltimore center stage, CBS News, desiree akhavan, grants, hidden figures, los angeles times, made in new york, maria manuela goyanes, nyfa, san diego state university's center for the study of women in tv and film, stephanie ybarra, the guardian, the miseducation of cameron post, the wrap, Variety, venice film festival, waitress, woolly mammoth theatre company.